V Findlay Wolfe BLOG: Double Wedding Rings at Houston! Double Wedding Rings at Houston! 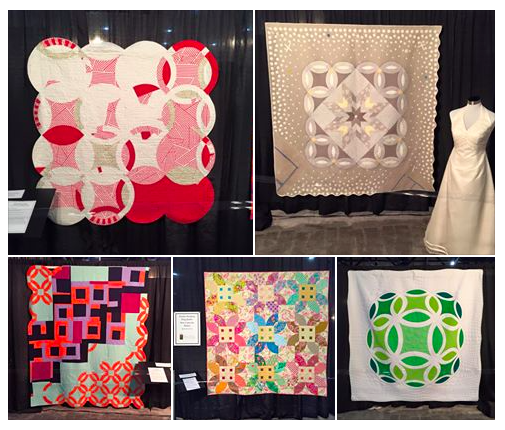 You weren't able to make it to the International Quilt Festival in Houston? Here is a slide show done by THE QUILT SHOW of my Double Wedding Ring Exhibit at Houston! Schweinfurth Art Center in Auburn , NY, has all my Other Double Wedding Rings from the book on exhibit though January 3rd! and teaching a SPECIAL two day Double Wedding Ring Class in their AWESOME HUGE sewing classroom! Info here! SIGN UP QUICK! 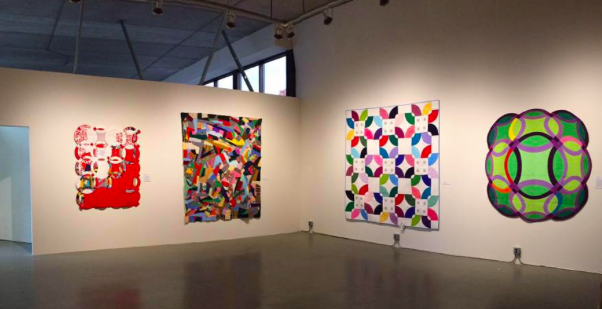 My Color Play quilt goes on to the Texas Quilt Museum next for the Modern Quilt Exhibit! sweet lady, thank you thank you for sharing, i love the inspiration. Loved the slide show. 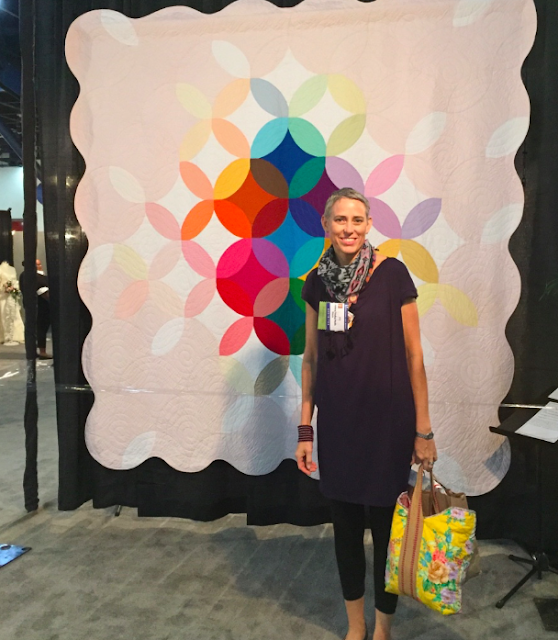 I was able to spend time with the DWR quilts in Houston. Just beautiful. A Cloudy Day is my fav. Who wouldn't want to be wrapped up in that quilt on any day actually. Maybe someday I can see these in person! Great slideshow! I so, so preferred the quilts over the boring wedding dresses. I do hope I'll make a DWR quilt one day, but may not get up the enthusiasm until/unless I can take one of your classes. We'll see. Your quilts are a great incentive.